The Way It Is broke in 1986 in England and Holland before the USA. Every Little Kiss had already been out as a single in May of that year, with little success. 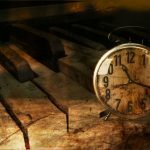 So by the time The Way It Is was released in September, the first single had been around for some time. Here are the music press reviews from that time, before it made its way into the public consciousness and became an iconic song. There isn’t a second of Bruce Hornsby & the Range’s The Way It Is that suggests it’s a debut album. On the contrary, the record sounds like the culmination of a band’s efforts over many years. The group has a distinct sound of its own, often led by Hornsby’s bright piano chords and elastic tenor, with cohesive and evocative arrangements; there is new age music here, as well as jazz and country, and the mixture is presented naturally by musicians who seem to have been playing with each other for some time. Similarly, the songwriting has its own flavor. 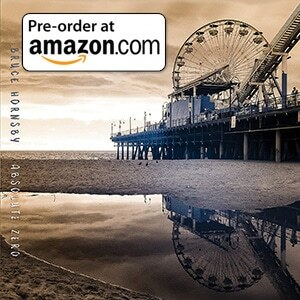 Hornsby wrote seven of the nine songs with his brother John Hornsby, and they create their own world, a working-class environment of longing and loneliness set against the background of the Virginia Tidewater area. (The album cover displays a sepia-toned photograph of the band set over another photograph of the long Chesapeake Bay Bridge.) The lyrics are lightly poetic and restrained, for the most part. The exception is the title song (written by Bruce Hornsby alone), a brave if somewhat clumsily written attack on the heartless right-wing politics of the mid-’80s, as the U.S. suffered through a second Reagan administration determined to roll back civil rights gains. The boldness of the statement and the lovely piano theme more than compensate for the awkward writing, however, making the song one of the album’s most memorable. And that’s saying a lot when the competition includes the engaging “Mandolin Rain” and the appealingly romantic “Every Little Kiss” (Hornsby’s other sole writing credit). Perhaps it shouldn’t be a surprise that the music is so accomplished. Hornsby was no teenage neophyte when he made it, having kicked around the music business and gotten into his thirties, and the band includes such veterans as David Mansfield, who may be remembered as a member of Bob Dylan’s Rolling Thunder troupe and the Alpha Band, as well as being a film composer. Sometimes a debut album just happens to be the first music most people get to hear by a mature talent, and that’s the case here on the debut album of the year. 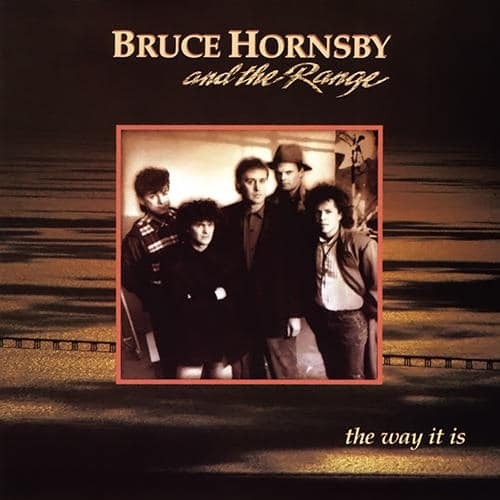 Listening to the debut LP by Bruce Hornsby and the Range (“The Way It Is,” RCA) warms me with the same sort of inner glow that those first landmark albums by Little Feat, Jackson Browne, Bonnie Raitt and The Band sparked many moons ago. And the fact that Hornsby is playing a $2 concert for WIOQ at the Trocadero on Wednesday brings such cheer that I may just come out of my post- Folk Festival, end-of-summer depression after all. Would Huey’s good word clinch that recording deal for you? Possibly–and possibly not. Consider the case of vocalist/keyboard player/songwriter Bruce Hornsby, who was looking for a label that would sign his band, Bruce Hornsby and the Range, a while back. Hornsby indeed had Lewis talking up his cause in the corridors of the music industry, but in the end it was a kind of left- handed turn of fate, not Lewis’ efforts, that got Hornsby and his band their contract with RCA Records. There’s not much here to look at – a stark stage, a piano, a couple of faces we haven’t seen before. Boring, huh? Hardly. Minimalistic? Quite, but that’s the quality that makes “The Way It Is” the most refreshing, cerebral video making the rounds today. Bruce Hornsby, keyboard artist supreme, is the best new bread-and-butter rock ‘n’ roll has had since the mid-’70s days of Bruce Springsteen. The lucky–and very talented–fellow is keyboardist Bruce Hornsby, who with his group the Range has gone all the way to No. 1 on both the pop and adult contemporary charts with “The Way It Is,” a moody pop/rock song with a social message as powerful as its melodic line. And now, Lewis stands to lose because of his protege’s belated success. The No. 1 ascent of the “The Way It Is” single (up from No. 4 last week) came at the expense of Lewis’ own single, “Hip to Be Square,” which failed to move up from No. 3 this week. And on the album charts, Lewis’ “Fore!” (now No. 4) is in danger of being passed by Hornsby, probably by next week.